Below you fill find all funeral homes and cemeteries in or near Batesville. 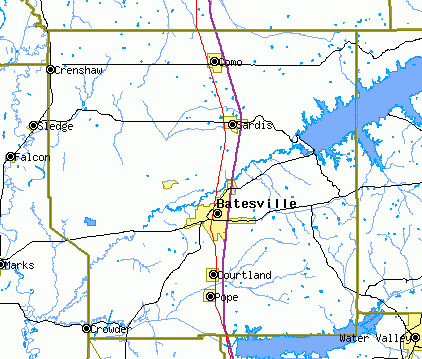 Batesville is also known as: Panola County / Batesville city. Their current mayor is Mayor Ted Stewart. Zip codes in the city: 38606. Panola County funeral flowers can be purchased from one of the local funeral shops we partner with. Some of the notable people born here have been: Wesley Walls (american football player), Deshea Townsend (american football player), Derek Pegues (american football player), Dwayne Rudd (american football player), Peria Jerry (american football player), Jamarca Sanford (american football player), and Kory Chapman (american football player). Batesville is a city in Panola County, Mississippi. 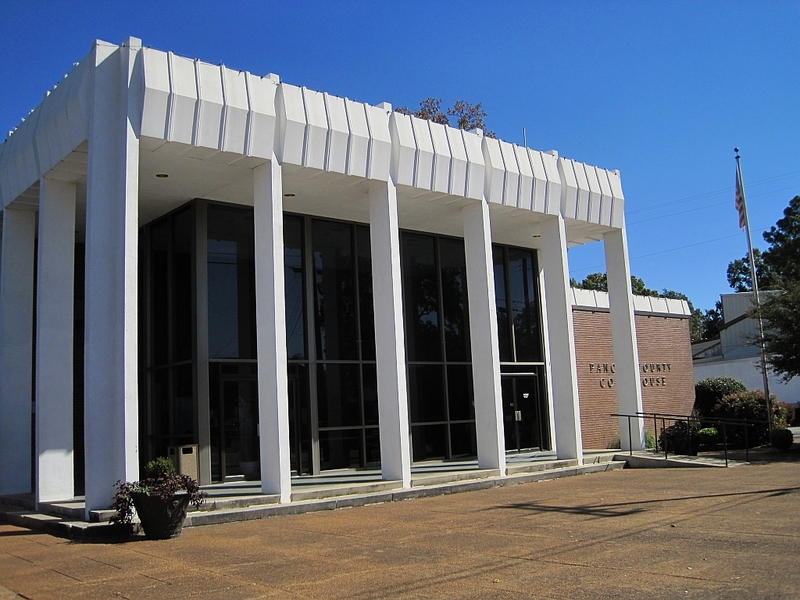 The population was 7,463 at the 2010 census.Batesville is one of two county seats which the legislature established for Panola County, related to a longstanding rivalry between towns on either side of the Tallahatchie River; the other is Sardis, located north of the river.Batesville was founded in the 1850s following the construction of the Mississippi and Tennessee Railroad. It was noted on December 11th, 2018 that Ricky Joe Sr Bates died in Batesville, Mississippi. Bates was 54 years old. Send flowers to express your sympathy and honor Ricky Joe Sr's life. It was reported on December 7th, 2018 that James Edward Rudd passed on in Batesville, Mississippi. Rudd was 65 years old. Send flowers to express your sympathy and honor James Edward's life. It was revealed on December 7th, 2018 that Margaret Jane Tisdale (Trammel) died in Batesville, Mississippi. Ms. Tisdale was 93 years old. Send flowers to express your sorrow and honor Margaret Jane's life. It was revealed on November 27th, 2018 that Eddie Paul Jr Best passed on in Batesville, Mississippi. Best was 48 years old. Send flowers to express your sympathy and honor Eddie Paul Jr's life. It was disclosed on November 21st, 2018 that James Richard Johnson passed away in Batesville, Mississippi. Johnson was 61 years old. Send flowers to express your sympathy and honor James Richard's life. It was written on November 16th, 2018 that Joyce Tippery (Herron) passed away in Batesville, Mississippi. Ms. Tippery was 57 years old and was born in West Memphis, AR. Send flowers to share your condolences and honor Joyce's life. It was noted on November 14th, 2018 that Patricia Ann Anderson passed on in Batesville, Mississippi. Anderson was 67 years old. Send flowers to share your condolences and honor Patricia Ann's life. It was noted on November 9th, 2018 that Dorris Abson passed away in Batesville, Mississippi. Abson was 76 years old. Send flowers to share your condolences and honor Dorris's life. It was noted on November 9th, 2018 that Emma MacKey perished in Batesville, Mississippi. MacKey was 83 years old. Send flowers to express your sorrow and honor Emma's life. It was noted on November 9th, 2018 that Rosie Trantham passed on in Batesville, Mississippi. Trantham was 91 years old. Send flowers to express your sympathy and honor Rosie's life. The population was 7,113 at the 2000 United States Census census. Batesville is a city in Panola County, Mississippi County, Mississippi, United States. . . .
HERNANDO - The graveside service for Betty Lou Boyles Hedleston, 75, will be at 4 p.m. at Batesville Magnolia Cemetery with visitation at 3 p.m. at Dickin Funeral Home ... Library 101 McLaurin St. Sardis, MS 38666. Listing all funeral homes in Batesville, Mississippi so you can easily send flowers to any location (same day delivery) or find any funeral service. Local directory of Batesville Funeral Homes. Browse our directory of funeral homes from around the USA. Read and add reviews. Eddie Robinson & Son Funeral, Batesville, MS : Reviews and maps - Yahoo! Local, 662.563.0084. Get Ratings, Reviews, Photos and more on Yahoo! Local. We work with local florists and flower shops to offer same day delivery. You will find budget sympathy flowers in Batesville here. Our funeral flowers are cheap in price but not in value.